Selecting a meal that’s nutritious is good for your heart and your health as a whole. It’s ideal to focus on a diet that involves more fruits and vegetables and cut down your consumption of processed foods. The latter typically consists of saturated fats and other detrimental substances that can compromise your heart health. 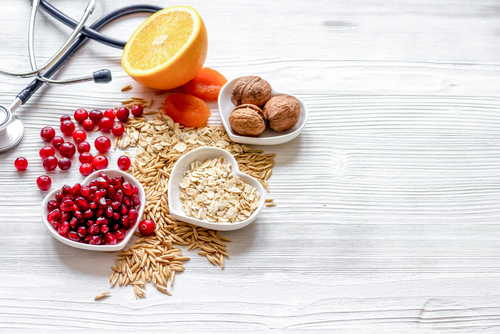 For one, consuming foods that are low in saturated fats, trans fat, and cholesterol yet high in fiber can aid in the prevention of high cholesterol levels. Reducing salt intake can also help lower your blood pressure while decreasing consumption of sugar can lower your glucose levels, which can help in the prevention or management of diabetes. Obesity and being overweight mainly contribute to the development of heart problems. They do so in many ways. First, weighing more than normal puts extra strain on your heart muscle. Being a muscle, it requires exercise constantly to sustain its strength. Being overweight puts a strain on your heart and makes it more difficult for you to practice a more active lifestyle. Second, being overweight and obese increases blood cholesterol and triglyceride levels and reduces high-density lipoproteins (HDL) or the good cholesterol. It also heightens blood pressure and the possibility of you forming type 2 diabetes. Regular movement through physical activity can help in the maintenance of healthy weight. It also helps reduce your blood pressure, cholesterol, and glucose levels. For adults, it is recommended to at least work out for 2 hours and 30 minutes per week. This should involve exercises that are moderate in intensity like brisk walking or biking. We all know that smoking increases the risk of numerous serious, life-threatening diseases and this includes heart disease. If you’re not a smoker, great, and don’t even think about starting. You’re better off without it anyway. 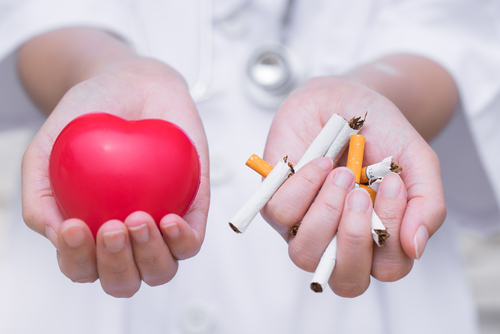 If you do smoke, quitting the habit will decrease the likelihood of you getting a heart disease, which is much better than facing heart complications that could threaten your life. If you’re intent on quitting but find it very challenging, you can seek professional help. Your doctor can recommend ways to help you lose the habit for good. Having a shot every now and then is harmless, but getting wild during happy hours can compromise your heart health. For one, excessive drinking can lead to raised blood pressure. Regular and high alcohol consumption can also lead to issues of the heart muscle called cardiomyopathy. On the other hand, binge drinking can result in irregular heart rhythms called arrhythmias. To binge drink means to have four or more drinks for women and five or more for men in a span of only two hours. That means not drinking during weekdays only to go unstoppable during the weekend is not okay. Your health and well-being are essentially up to you. While there are health conditions that can be out of your control, such as those that are hereditary, most have something to do with how you live your life. Poor lifestyle choices, such as eating too much processed foods, smoking and drinking excessively, and not exercising regularly, can affect your heart health significantly. Next ArticleAre All Eggs Created Equal? Which Varieties Are Superior to Others?